Three teams of Wok-a-Holics competed at the final round of the Electrolux “Wok-a-Holic Kitchen Masters” cooking competition to clinch the the title of Wok Grand Champion. 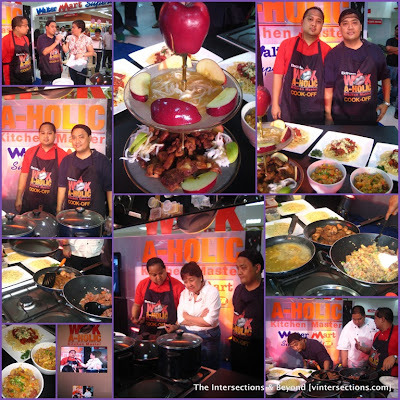 This cooking face-off challenge was held at Waltermart North Edsa on September 9, 2010. After several rounds of grueling wok cooking, only the best Wok-a-Holic pairs remain to advance to the finals, where their wok skills were put to the test as they showed off their own Fusion recipes for three dishes - one Rice dish, one using Noodles and the last featuring Meat or Seafood, using Electrolux cookers that were especially designed for wok cooking. (3) the Big Brother team composed of Edwin and Robert Leceta, who wowed the judges with their Piña Orange Beef Steak and Ginger Beef dishes at the semis. Renowned celebrity Chef Bruce Lim, host of Asian Food Channel’s Tablescapes: Life on a Plate and owner of the elegant private-dining establishment Chef’s Table, continued to serve as the Chef Consultant, judge and food critic, along with host Winnie Cordero who annotated the exciting wok cooking action. And they certainly had a tough time choosing between these three talented Wok-loving teams! Team 1 walked off as the Grand Champion. They not only got to take home the title of Wok-a-Holic Kitchen Master but they also received an Electrolux EKM6645X Gas Range worth P30,000 and P5,000 worth of Meyer Cookware. while Team 3 won as the 2nd Runner-up and they got to take home a WCG632W/K Gas Range worth P15,000 and P1,500 worth of Meyer Cookware. And with Electrolux cookers that come with their own wok stand, they can continue to cook their favorite stir-fry and ginisa dishes at home! My personal choice is Team 3 because I like all the 3 dishes that they prepared in this finals. 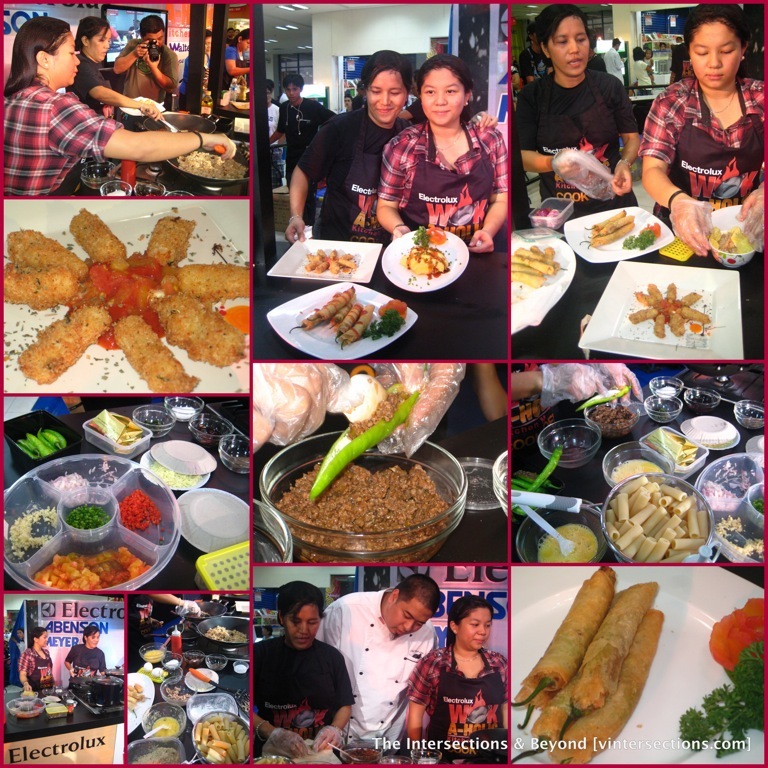 The Electrolux “Wok-a-Holic Kitchen Masters” competition is part of Electrolux’ Wok-a-Holic campaign, which celebrates the Asian cook who loves to whip up wok dishes. Done in partnership with SM Appliance Center, Abenson, Anson’s, Meyer and Mommy Academy, “Wok-a-Holic Kitchen Masters” not only allowed homemakers to showcase their wok-cooking skills but allowed the interested audience to learn more delicious wok recipes through cooking demos, courtesy of Meyer, a world leader in cookware. 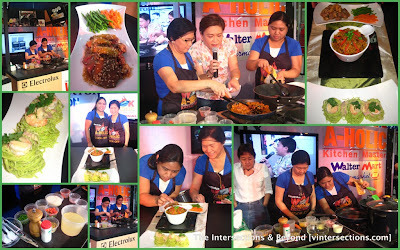 “It was nice knowing how much Filipino cooks loved ginisa dishes and Asian stir-fry that gave us the idea for the Wok-a-Holic Kitchen Masters competition. We not only gave Wok-a-holics a venue to display their cooking skills and their own homemade wok recipes, it also introduced more people to the wonders of wok cooking and allowed them to get to know Electrolux’ range of Gas and Electric Ranges, Hobs and Hoods that were especially designed with the Asian way of cooking in mind,” said Terry Sales, Marketing Manager of Electrolux Philippines.